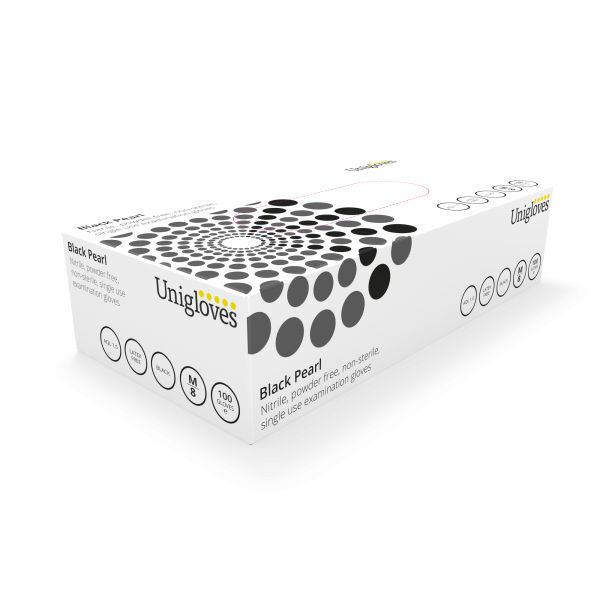 The Unigloves Black Pearl Disposable Powder-Free Nitrile Gloves GP0031-5 have been specially designed for safer and more hygienic working in healthcare environments and around food. The ambidextrous gloves feature a textured finish for improved grip, and with a beaded cuff they can be quickly and easily donned and doffed as required. 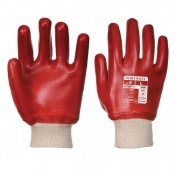 They also provide some chemical resistance for improved hand protection. The Black Pearl gloves are sold in boxes of 100 individual gloves. As they are ambidextrous, they do not need to be paired, saving time and improving convenience in busy professional environments. The product codes for the gloves are: GP0031 (Extra Small), GP0032 (Small), GP0033 (Medium), GP0034 (Large), GP0035 (Extra Large). For more information about chemical permeation breakthrough times of the GP0031-5 Disposable Gloves, please consult the PDF below. The Unigloves Pearl range of gloves have been designed to reduce the risk of cross-contamination in a professional environment, making them ideal for medical applications where quality hygiene is paramount. The black colour allows them to be identified and differentiated between other coloured gloves. The Black Pearl Gloves feature textured fingertips for improved gripping. This makes it easier to handle objects while reducing the risk of spills or breakages, reducing incidents and increasing safety. Whether working in healthcare, with patients, or around food, it is essential that gloves can be applied with as little fuss as possible. 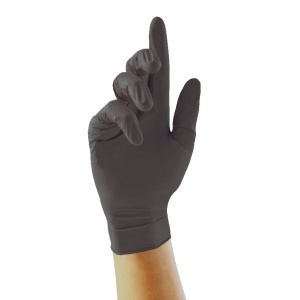 The Disposable Black Pearl Gloves have been designed to accommodate this, featuring a beaded cuff for easier donning and an ambidextrous design to reduce the need to pair the gloves. 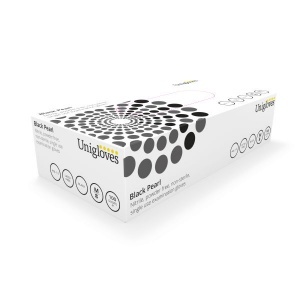 To provide as comfortable a fit as possible, the Unigloves Black Pearl Disposable Powder-Free Nitrile Gloves are available in a choice of sizes. Please measure across the palm for the required width. 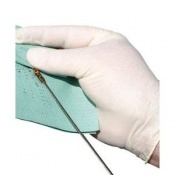 Each glove size has a minimum hand length of 240mm. Please choose your required size from the drop-down menu at the top of the page. Good company to deal with, would have no problem using again.